Keeping an eye on your home is not easy. Professional security systems are expensive to install and consumer-oriented options are often difficult to configure properly. Fortunately, Avaak comes to the rescue with the VueZone which aims to potentially solve the hassles of video monitoring in an entirely different fashion. This solution boasts motion detection capabilities with instant email alerts, mobile apps for three popular platforms, and a friendly browser-based management console. When I first came across the VueZone at CTIA Wireless earlier this year, a ‘security’ use-case scenario was first to cross my mind. 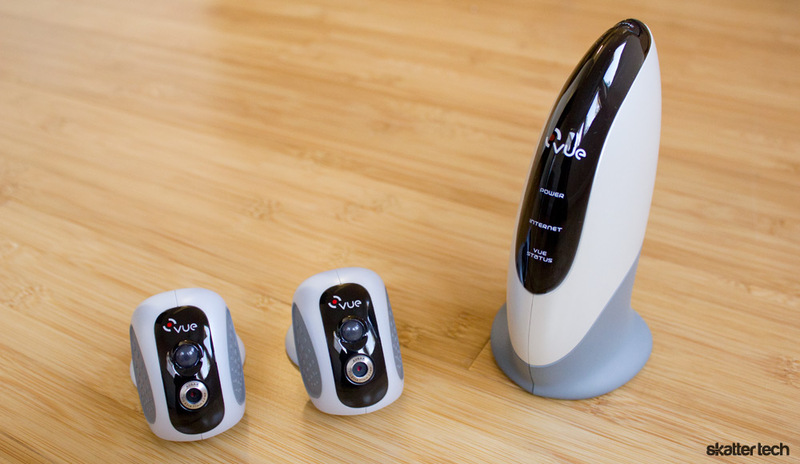 After speaking with the folks from Avaak and taking a deeper look, it is clear that the VueZone rather falls along the lines of general purpose niche-market gadgetry. 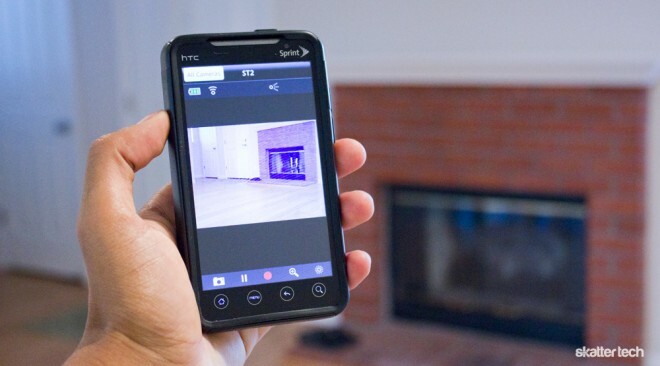 Although I would recommend a robust security camera for guarding valuable possessions, the VueZone is still a great way to monitor your home and potentially even ward away thieves. Owners could keep an eye on their front door or package deliveries. It is also a great way to watch over aging grandparents. Parents can make sure teenagers get home one time or even look after pets. Avaak truly knows how to make things simple. I recently had to deal with a D-Link WiFi security camera which required installing software from a CD or accessing a router-like configuration page by typing in an IP address into a browser — both of which are probably too difficult for the average person. Configuring the VueZone was fortunately quite easy. The gateway plugged right into my router with the included Ethernet cable and I powered it up with the AC adapter. My review unit packaging came with two Motion Detection Cameras and four CR123 batteries though each camera only needs one battery leaving two spares for the future. I was able to pair these by flipping on the camera switch and clicking the sync button on the base station while both are within a foot’s distance. Mounting these two cameras is also an hassle-free task. Avaak includes four little ball mounts which fasten to a wall with either a peel-and-stick adhesive or a nail. The circular shape and the strong magnet inside allows for easy positioning and rotation. Although firm enough to stay in place on its own, a bump of a shoulder could easily knock the camera off the mount. With two spare mounts provided, it is easy to relocate cameras to one of the other ones at any time. Last but not least, I headed over to the VueZone website to register a new account. The booklet in the packaging provides a unique code to activate your service. The interface is definitely up to par on the latest web technologies and a clutter-free look. I could easily navigate around the interface and customize settings. I even updated the firmware on the gateway and cameras with just a single click. The fool-proof technology is great for the average person and is convenient for geeks as well. Interestingly enough, VueZone cameras do not use WiFi to communicate with the gateway. Avaak choose to go with a 2.4 GHz radio frequency which has a range of approximately 300 feet and low-power consumption. Unlike traditional video monitoring solutions, this is not an always-on solution. That’s right, these cameras are asleep until needed. Users can manually configure scheduled recording times or enable motion detection capabilities. Of course, you can tune into a live stream on your own at any time as well. The web portal and the mobile apps have battery meters to indicate the amount of power left in each unit. According to the Avaak marketing materials, the CR123 should keep a camera running for about six months with about 5 minutes of use per day. 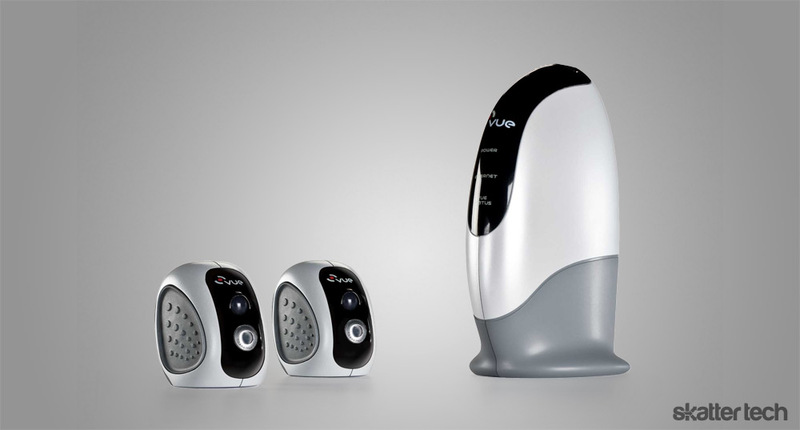 Avaak only provided indoor Motion Detection Cameras for review, but the company also offers other models. There is another indoor version available for a lower price without the motion detection capabilities. An outdoor iteration designed to withstand rain, snow, and wind is in the works. The simple wire-free ideology is quite brilliant in my opinion, but there are other aspects to the technology which need improvement. For instance, the camera is incredibly slow to react when motion triggers video capture. I casually walked in and out of a room in a about 5 seconds to find that the VueZone only began recording as I left. 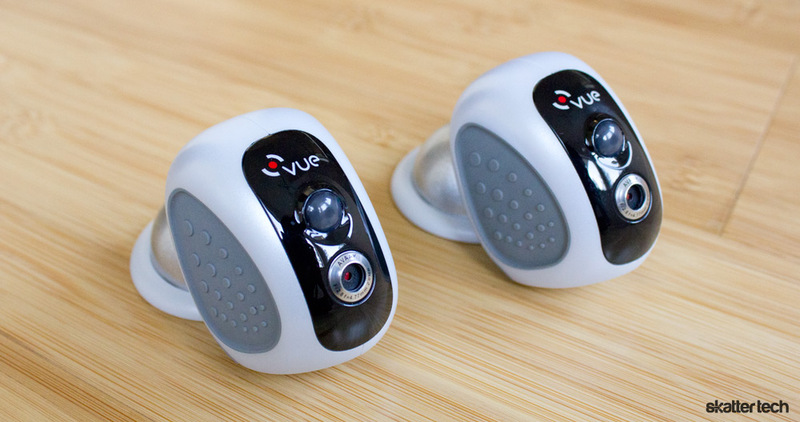 While the VueZone is not a security solution, this flaw alone especially defeats the entire purpose of the motion detection feature. The web-based configuration settings panel offers choosing from video resolutions of 1600-by-1200, 640-by-480, and 320-by-240 pixels. Unfortunately, going with the highest resolution results in a frame rate which is slow enough to resemble a slide-show. While switching to a lower resolution alleviates some of the issue, the degraded quality makes it difficult to recognize faces or objects. Tweaking the sensitivity settings or increasing the video capture duration did not help much. I also found low-light conditions are an unfortunate recipe for pixelated and grainy video. The lack of a night vision mode makes the VueZone almost entirely useless when the sun isn’t shinning. There are no microphones for audio capture either. On the other hand, the D-Link DSC-932L offers both night vision and audio capture in a single package. With that being said, the best part of the VueZone is support for up to 25 cameras with a single gateway. Avaak offers a web portal accessible at my.VueZone.com to manage your cameras. The interface includes options to schedule recordings, manually record video clips, snapping images on the fly, and much more. Browsing through galleries of previously saved content or even viewing a live-stream in full screen mode is easy too. Avaak also makes it possible to share video clips and images with friends through YouTube and Flickr, respectively. While the implementation is quite fancy, the major drawback is the monthly subscription costs. VueZone Basic is a free ad-supported package which includes live-video monitoring from computers and smart phones, snapshots for motion capture, and a maximum of 5 cameras. Upgrading to the $5 per month VueZone Premier plan brings support for higher quality snapshots, removes ads, enables automatic video recording for motion detection plus email alerts, smart phone management, 2 GB of cloud storage, date/time scheduled recordings, inviting up to 10 friends to view live video, social sharing, and support for 10 cameras. A $10 per month VueZone Professional plan is much like the last one with 5 GB of online storage, up to 50 friends to view live video, and support for 25 cameras. Avaak offers free VueZone apps for Android, BlackBerry, and iOS. Each platform supports live monitoring, recording videos, snapping photos, enabling/disabling motion detection, and browsing previously captured content. I spent a few days testing the app over 3G, 4G and even a public WiFi hotspot on the HTC EVO. Although connecting to a camera sometimes took nearly a minute, the quality was actually rather clear after a few seconds. Although I did not have a chance to test the BlackBerry or iOS apps, I do think the Android iteration could use a little more polish. It is already packed with just about all the features you could want, but a fancier and cleaner look could go a long way for a better user experience. Keep in mind you do not need a smart phone to use VueZone, there is a perfectly usable web interface as well. Avaak definitely has a lot going for it. The VueZone is consumer-friendly, is quite easy configure, and it actually works. With that being said, there are still a few drawbacks. It is not an always-on solution, users need to switch out batteries twice a year, video quality needs to improve, and there are monthly subscription costs to enjoy the full feature set. A package with one motion detection camera retails for $199 while another with two motion detection cameras goes for $289. Additional motion detection cameras retail for $99 each. Avaak’s solution could serve just about any purpose whether you plan to use the VueZone for light weight security, monitoring your home, or looking after family. Assuming that you understand the limitations as a buyer, this will not disappoint. This second-generation monitoring technology is already quite polished and a third iteration will only get better. More importantly, the concept is quite unique and it stands out of the pack relative to traditional video surveillance. We’re a bunch of volunteers and opening a new scheme in our community. Your site offered us with valuable info to work on. You have done a formidable process and our whole community might be thankful to you.